Coringa Wildlife Sanctuary is a wildlife sanctuary near the port city of Kakinada, in Andhra Pradesh state of India. It is also an estuary with the second largest stretch of mangrove forests in India. It is home to some of the endangered birds in India; white-backed vulture or white-rumped vulture or African white-backed vulture (Scientific name name is Gyps Africanus) and long billed vulture which is also known as Indian vulture (Scientific name is Gyps indicus). 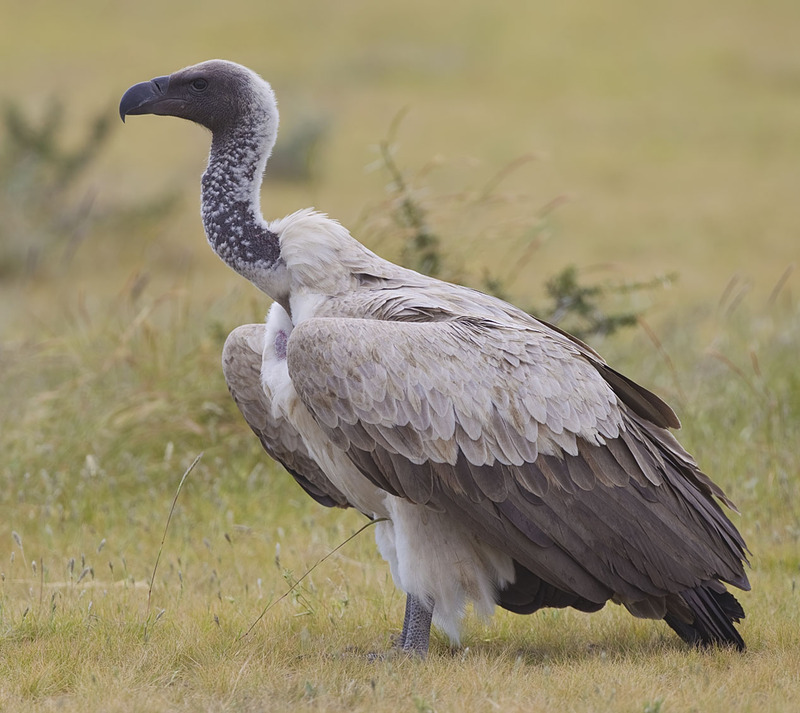 Critically Endangered White-backed Vulture Gyps Africanus. If you are looking for information about most endangered species or information about endangered animals or any other creatures on Earth, click on the link given above this line. River Gouthami and River Godavari meets in the Kakinada Bay. The estuary and Sanctuary here are rich in Flora an Fauna. 35 plant species are found in the sanctuary. The Area has mangrove species of 24 varieties. More than 120 species of birds are found here. Birds thrive here due to abundant feed available in the mangrove forests and in the estuary. Otter, a Rare Animal facing Extinction. There used to be large number of Otters in the sanctuary area. Due to poaching and destruction of their habitat, number of otters are shrinking. Afforestation of mangroves are carried out by the state Forest department to save these rare animals from extinction. How do I go to Coringa Wildlife Sanctuary? Coringa Wildlife Sanctuary is on the Bay of Bengal sea coast at a distance of 18 kilometers from Kakinada city, on the Kakinada-Yanam state highway. “Kakinada Town” is the nearest major railway station to Coringa Wildlife Sanctuary. Artalakatta Railway Station is at around 20 kilometers away. National Highway 214 connects Kakinada with other parts of the country.